Product categories of Single Cylinder Sock Knitting Machine, we are specialized manufacturers from China, Socks Making Machine, Socks Sewing Machine suppliers/factory, wholesale high-quality products of Single Cylinder Sock Knitting R & D and manufacturing, we have the perfect after-sales service and technical support. Look forward to your cooperation! 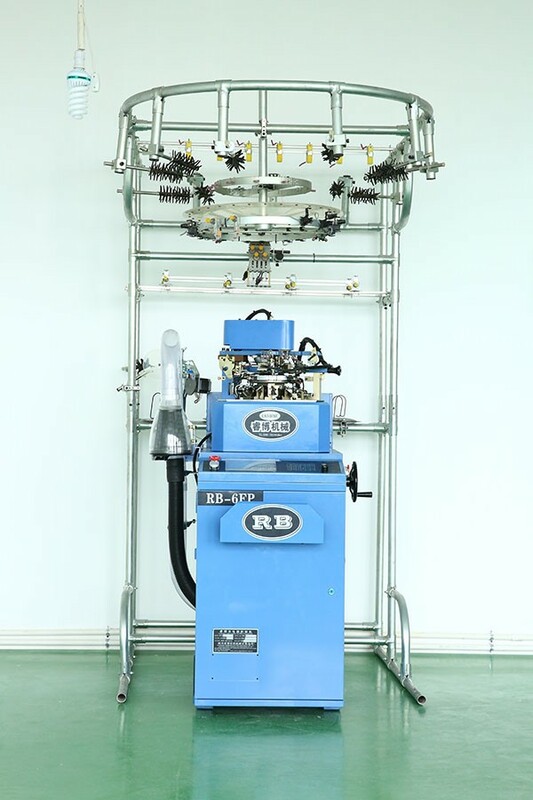 In the term of number of cylinder, this kind of Sock Knitting Machine only has one cylinder, that's why it is called Single Cylinder Sock Knitting Machine. Compared to Double Cylinder Sock Knitting Machine, it can make much more various and colorful socks. Computerized Sock Knitting Machine is composed of two parts: electronic parts and mechanical parts. Sock designs can be done through the software. Usually 84n 96n is used to make new born baby socks; 108n 120n for infants' socks, 132n teenagers' socks, 144n 156n 168n are for adults socks, 200n is for quality men's socks.